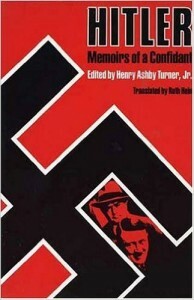 SA and was Hitler’s constant companion from 1930-1932. Wagener’s memoirs reveal that Hitler clearly understood the Masonic Jewish banking conspiracy yet chose to serve it. He attacked its appendage (the USSR) instead of its heart, the City of London. This is more evidence that Hitler was an Illuminati agent and false opposition.